One of the most underrated Nike Basketball signature models is back with the fifth installment of the Kevin Durant line. 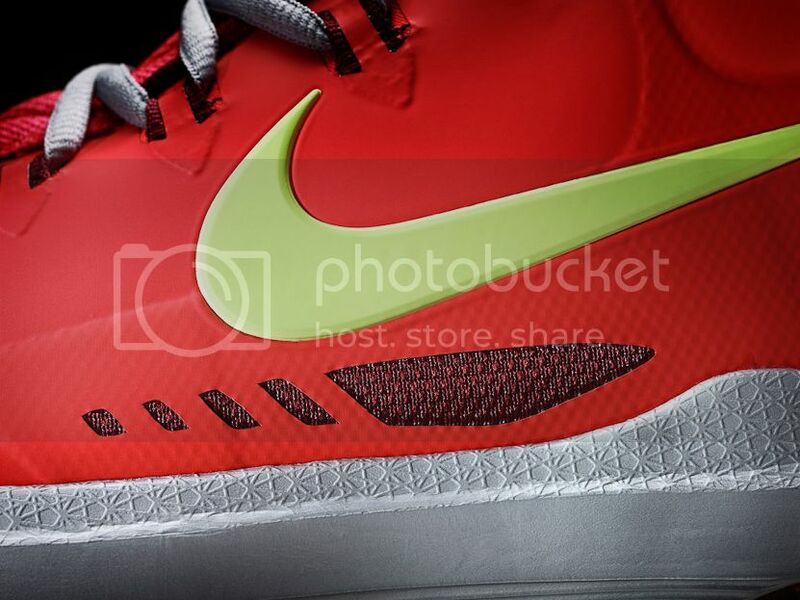 The KD V leads with premium performance while bringing Kevin's journey to life. The number 5 acts as inspiration: 5 players united on the court, 5 sides of the nation's Pentagon, 5 corners of a star, and what that means to #35. 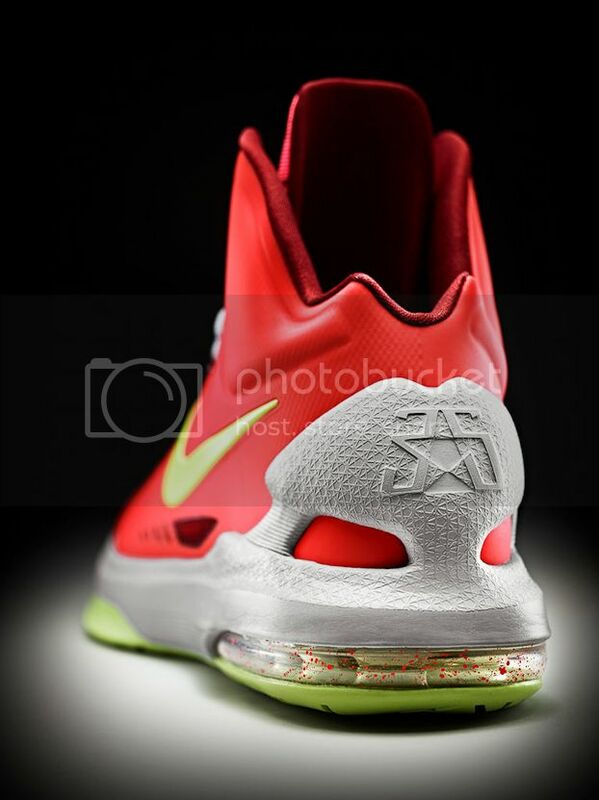 MANILA, November 2012 – Designed with premium materials and leading Nike performance technologies, the KD V represents the evolution of Kevin Durant and his style of play. 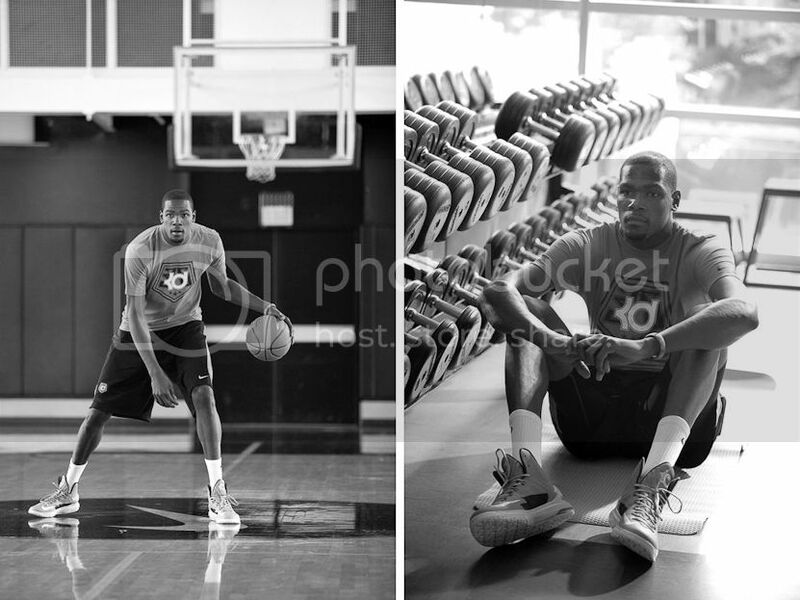 Leo Chang, Nike Basketball Footwear Design Director, took Durant’s fifth signature shoe to new dimensions by combining inspirational cues drawn from Durant’s personal journey with symbolism from the number five – wrapped up in a premium performance package. 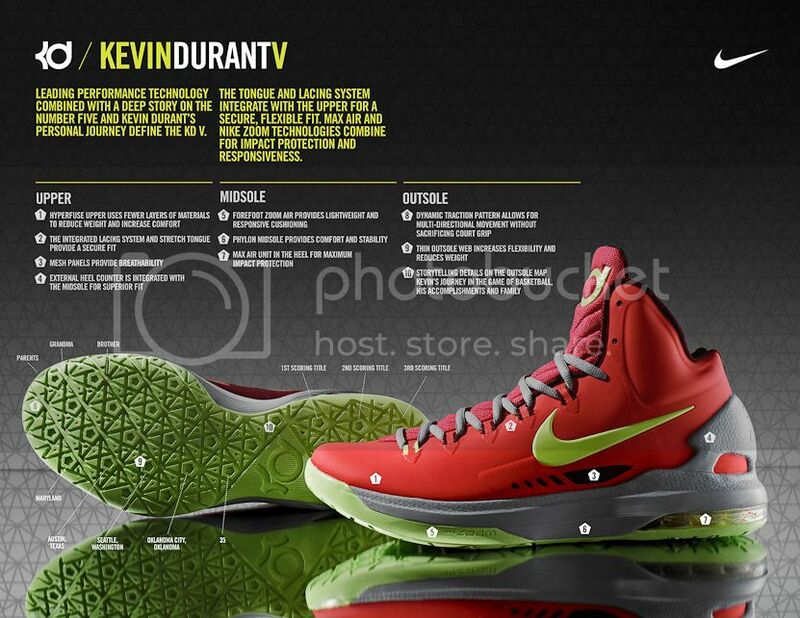 With a refined design aesthetic matching Durant’s smooth and fluid style of play, the KD V integrates four leading technologies: 1) a Nike Zoom unit in the forefoot, 2) Nike Air unit in the heel 3) unibody Hyperfuse upper construction for superior fit 4) external heel counter to allow the foot to move while still providing support. 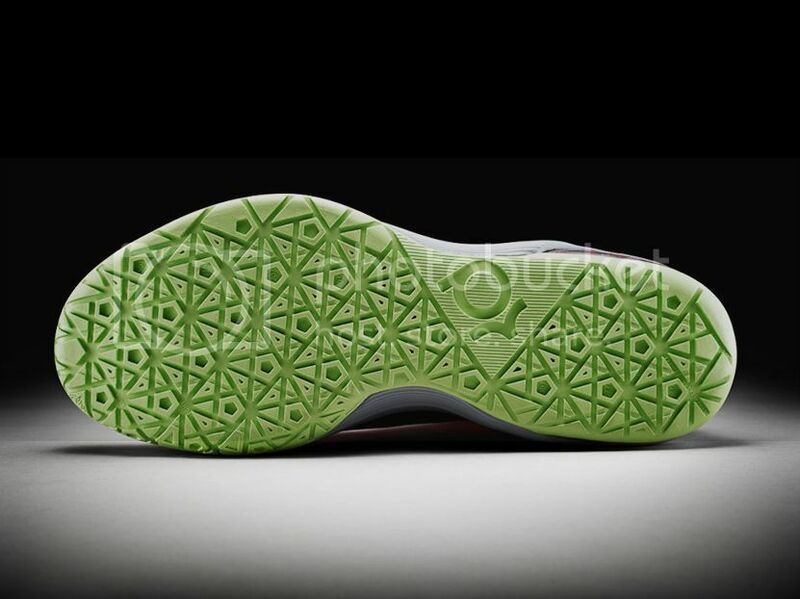 The shoe’s hidden story comes from five players united on the court, five sides of a pentagon – a Washington D.C. landmark, five corners of a star, and Durant’s fifth Nike signature shoe. This tribute to five is brought to life on the shoe’s outsole pattern, midsole texture, tongue quilting with V’s, and heel counter details. The Maryland state flag inspires the color combination on the shoe’s Bright Crimson colorway – with the flag’s red, yellow and black remixed in bright and light tones – a fitting tribute to Durant’s home state. 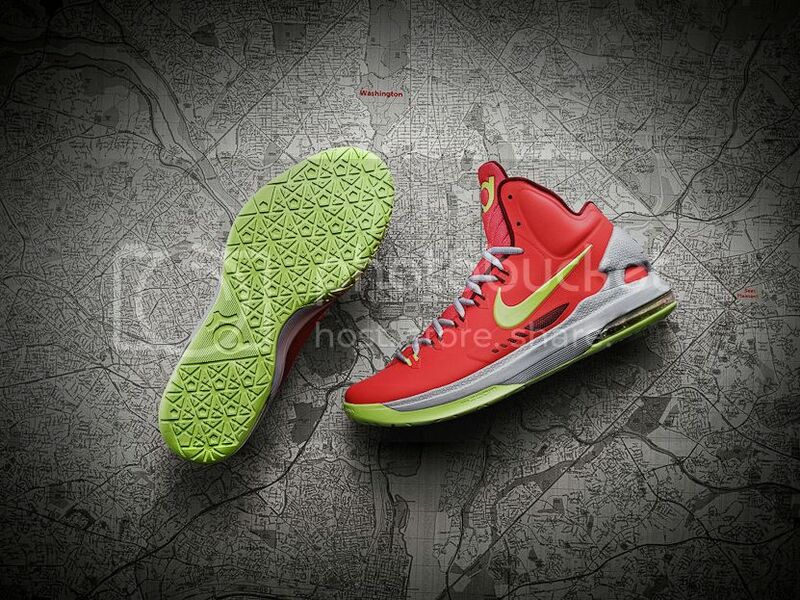 The KD V launches in December 2012 in Nike outlets nationwide, including Planet Sports, Toby’s, Sports Central and Titan branches. 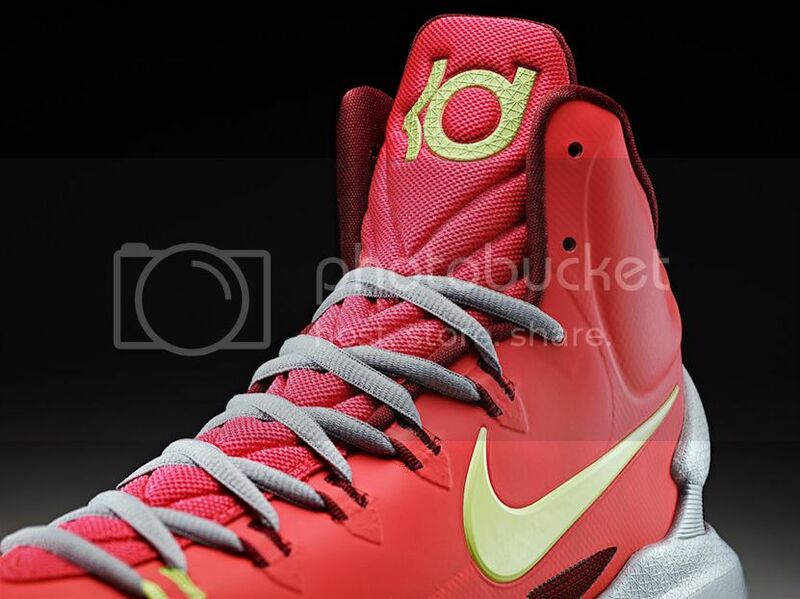 The KD V will be available in two colorways – Bright Crimson and Black and Blue – and will retail at Php5,995.00.